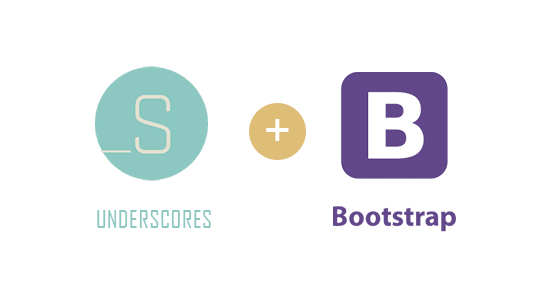 This theme combines the power of underscores(_s) a WordPress theme and bootstrap framework so you get best of the both worlds. These codebases are created and refined over the years by 100s of WordPress and Front End experts. 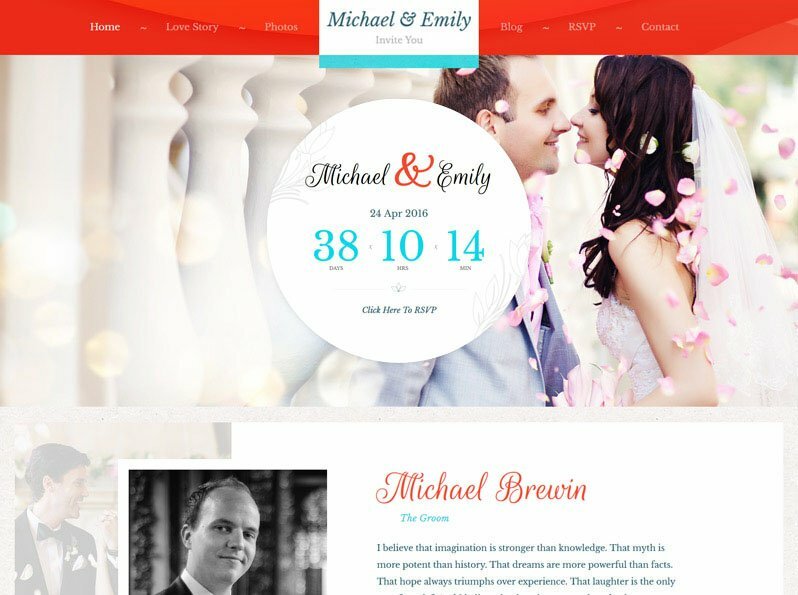 This theme lets you customize look and feel of your site. Instead of bombarding you with endless options, it gives you primary, secondary etc color choices which will globally change the colors across your site. Pressing just one button inside the WordPress admin you can make your newly installed theme look like our demo site. The days of struggling with theme files are over. It lets you update future theme updates right from the WordPress dashboard, much like you would update a WordPress itself. You can use this RSVP shortcode to display a form using which your invitees can confirm their attendance for your wedding event. Showcase latest news posts from a specific category in grid view. Also allows you to set the number of posts to show. Share timeline of your relationship from when you met by writing different posts for each occasion, this will be a great memory for you. A simple contact form visitors can use to get in touch with you. Works best in sidebar areas, but can be used anywhere. Use the CSS editor to make the theme truly your own. Each change you make inside the editor will be safely saved inside the database. Display the effective menu with free Templatic-Megamenu addon. Display the effective menu with free Templatic-Shortcodes addon. Use popular WordPress plugins such as WooCommerce or WordPress SEO to enhance your wedding site even further. This theme is responsive. 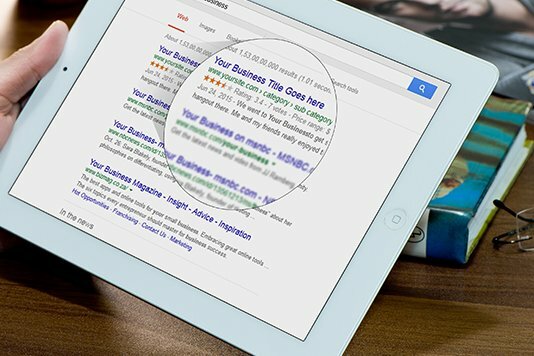 It means whether your site visitor is looking at your site from a mobile device, touch pad, laptop or any computer. It is coded to look great everywhere. Simply means low bounce rates, better position in google search results. Checkout the live demo on your mobile device now. 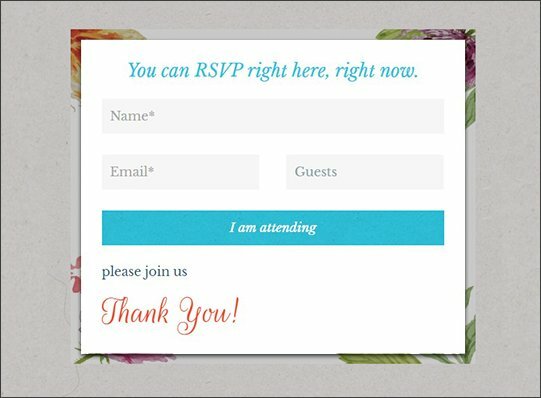 Theme provides RSVP form using which your invitees can confirm their attendance for your wedding event. Simply use a shortcode and your form will be right there where you want it to be. 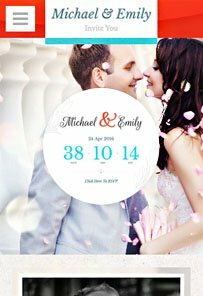 To make things more exciting you can use countdown timer on your site for your ceremony and other surprising events. 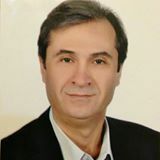 This theme is coded per best of the SEO practices. Not only that, this theme also supports the best, free SEO plugins available today such as WordPress SEO, All in One SEO, Google XML Sitemaps and All In One Schema.org Rich Snippets , so you can have best of both the worlds. By utilising free plugin like All In One Schema.org Rich Snippets, you can really take your site SEO to a new level. Your Wedding site in ANY language! Tested with popular WPML plugin and .PO and .MO files are provided with this theme. Using WPML plugin on your site lets you showcase your website in multiple languages. This theme is compatible with some of the most popular WordPress plugins. 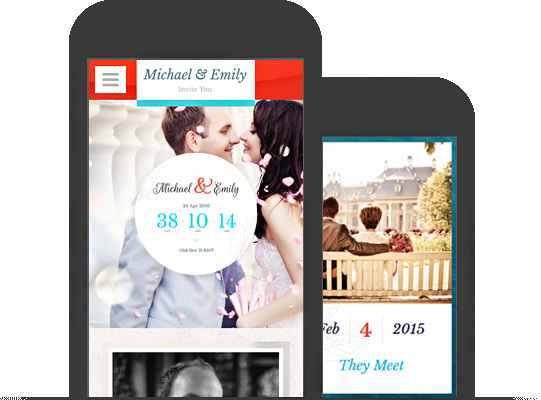 Take your wedding website to the next level. 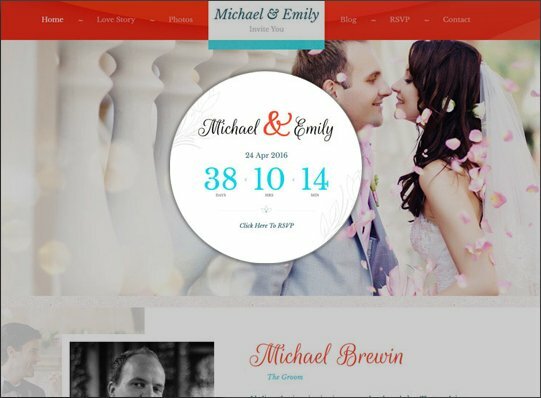 Create a shop on your wedding site! 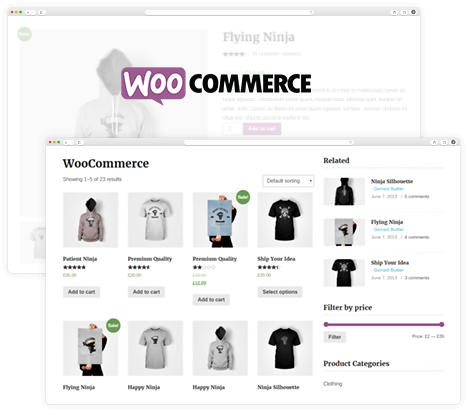 This theme is tested and works great with WooCommerce – a free e-commerce plugin for WordPress. Simply means you can create an online shop on your wedding site. With WooCommerce, you get super-easy store management, extensive tax and shipping options, massive selection of extensions and lot more.. The theme comes with a user and installation guide but help is always at hand. By purchasing this theme or subscribing to the directory software you will get access to the Templatic support team. Our team is always happy to be of assistance.